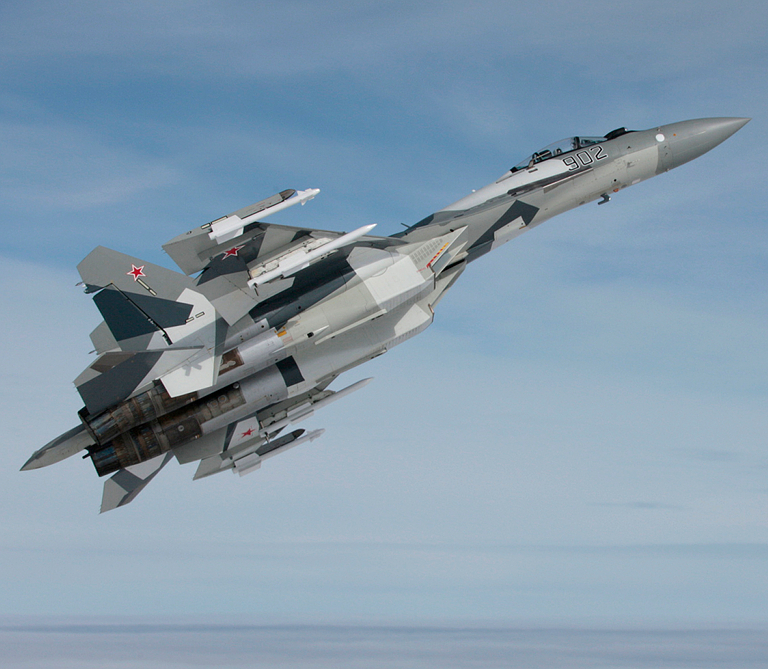 Second prototype of the Su-35S Flanker (KnAAPO image). 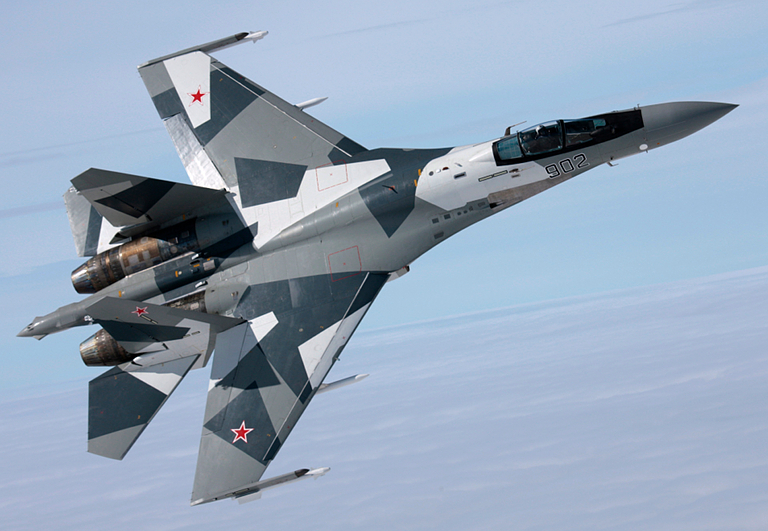 The impressive Su-35S is the latest incarnation of the T-10 family of fighter aircraft. It would be fair to describe this aircraft as the pinnacle of current conventional fighter design, blending a superb basic aerodynamic design with advanced engine, flight control and avionic technology. 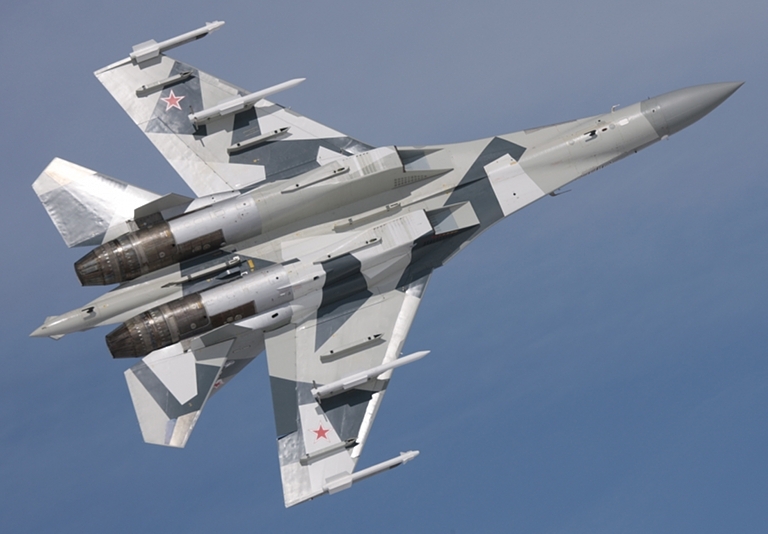 The designation Su-35 has been applied to two basic Flanker configurations since 1991. The first aircraft to carry the Su-35 label was the early 1990s digital T-10M/Su-27M Flanker E, powered by the Al-31FM engine and fitted with the Tikhomirov NIIP N011 planar array radar. 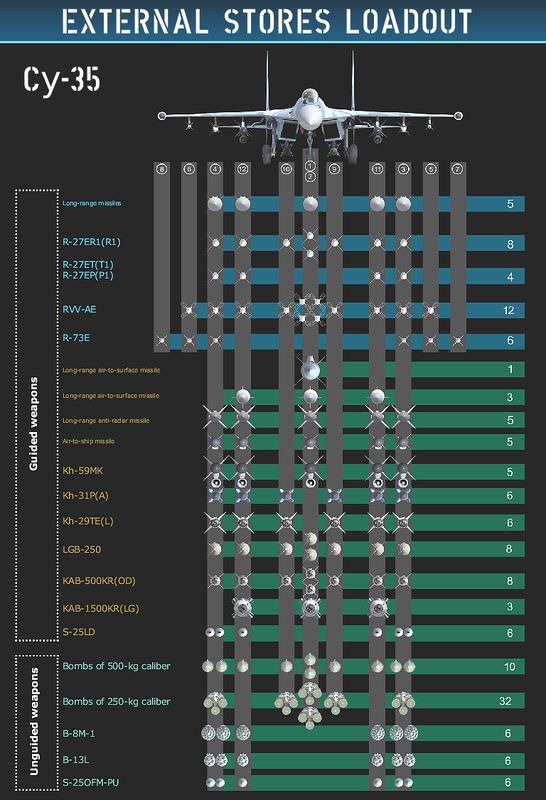 Export configurations were designated Su-35. This aircraft was used as the basis of the Su-37 Flanker F advanced technology demonstrator, often labelled as the Super Flanker. 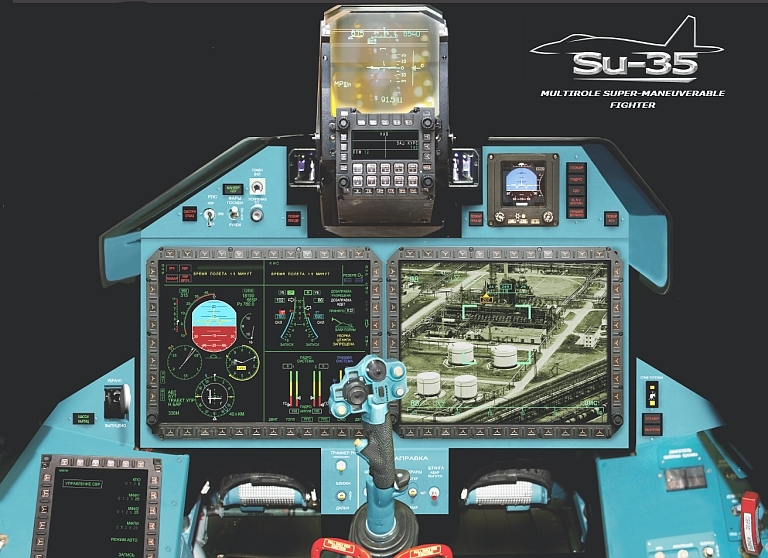 The Su-37 was used as a platform to prove a modern glass cockpit, the N011M BARS PESA radar, thrust vector control engines and a quadruplex digital flgiht control system with an electrical sidestick controller. 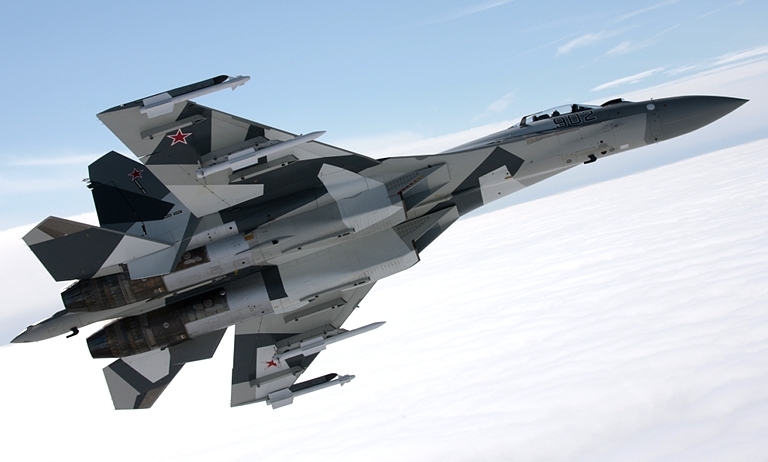 Much of the technology proven on the Su-37 migrated into the Su-30MKI/MKM Flanker H exported to Asia. 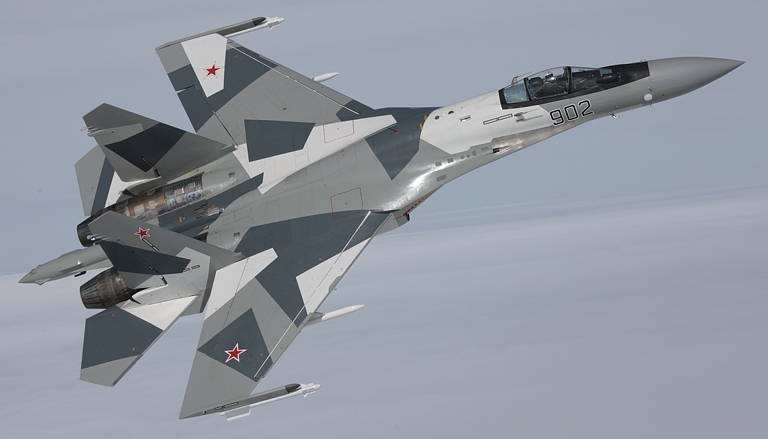 The current Su-35S, ordered in 2009 for the Russian Air Force, was the result of a series of design studies for a deep modernisation of the Su-27M design. This was actually more of a deep re-engineering of the basic design in the manner of the F-15E against the F-15C performed during the 1980s. The new Su-35BM retained the basic aerodynamic design and much of the structural design of the late model Flanker, but sees important aerodynamic enhancements and completely new engines and digital systems. Notable changes include the removal of the dorsal speedbrake, additional internal fuel, and plumbing for AAR and external drop tanks. A quadruplex digital flight control system is used. The Item 117S engines, which use key components of the Al-41F supercruising core, are employed. The Su-35S is the first non-US fighter with substantial sustained supersonic cruise capability, which provides this aircraft with an enormous energy advantage against conventional opponents in most regimes of air combat. The avionic suite is fully digital. The centrepiece is the Tikhomirov NIIP N035 Irbis E (Snow Leopard) 20 kiloWatt class steerable hybrid ESA radar. A new glass cockpit is employed, using large area displays. The Khibiny electronic warfare suite is employed, with new wingtip DRFM technology jamming pods. 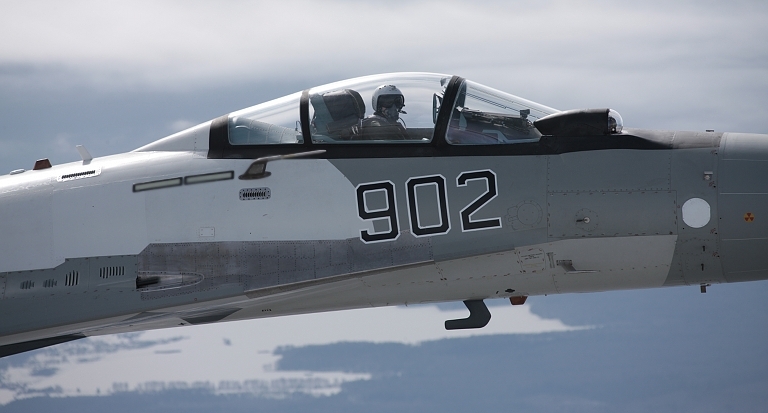 The aircraft is intended to carry the full spectrum of Russian air to air and air to ground guided weapons. 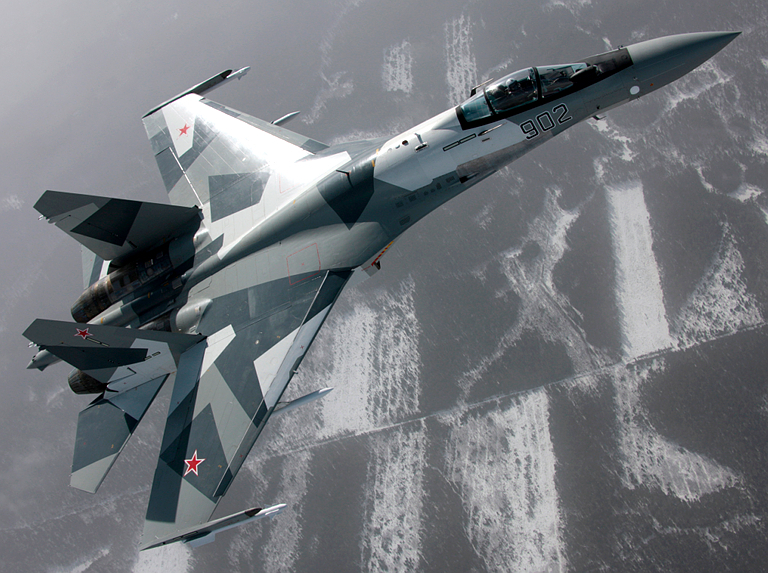 Given the large performance margin in the Su-35S design, it has considerable long term growth potential. It is likely that it will become the platform for the first Russian built large aperture AESA radars, as well as the R-172 very long range AAM. In strategic terms the Su-35S is a game changer, as it robustly outclasses all competing Western fighter aircraft other than the F-22A Raptor. Deployed in significant numbers it is capable of changing the balance of power in any region where this occurs. This reality does not appear to be widely understood in most Western air forces, or DoD bureaucracies. Aircraft IOC will be achieved in 2012. New engines with all-aspect TVC nozzle and thrust of 14,500 kg are installed on the air-craft. The inner fuel capacity is increased and the aircraft can carry two external fuel tanks with 2,000 liters capacity. The aircraft is equipped with the new Integrated digital aircraft con-trol system (ICS) carried out the functions of Fly-by-wire and Automatic Flight Control systems, Signal limiting system and Air Data System, and Landing Gear Wheel Braking Control System. The aircraft boasts of new avionics with the use of multiplex communication links, and phased array radar. Wide-angle colour head-up display and two large-format colour MFDs form the aircraft indication system. Due to the cockpit lightening equipment the pilot can use night vision goggle. The aircraft is equipped with the auxiliary power unit providing for the cockpit and aircraft equipment power supply and conditioning while ground maintenancte without ground support means application. 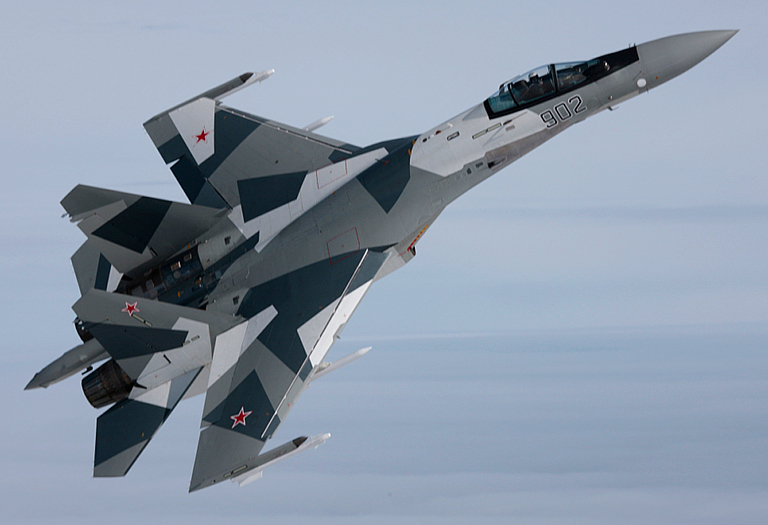 The Su-35 aircraft is designed by “Sukhoi Design Bureau”, but its production is mastered at the Komsomolsk-on-Amur Aircraft Production Association named after Gagarin. Su-35S prototype B/N 902 on display at MAKS 2009 with a KAB-1500L and air launched Kh-35UE Harpoonski (© 2009 Vitaliy V. Kuzmin). 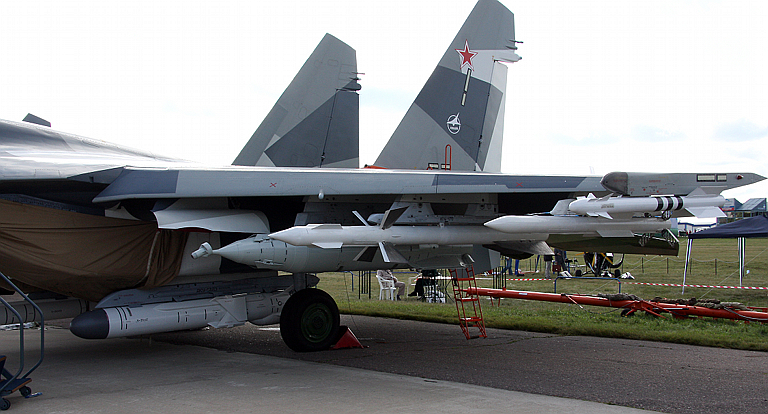 The primary BVR weapon to be carried by early production variants of the Su-35S is the KTRV RVV-SD, an extended range evolution of the R-77 / AA-12 Adder similar to the AIM-120D. Note the laser proximity fuse supplanting the radiofrequency fuse (© 2009 Vitaliy V. Kuzmin). 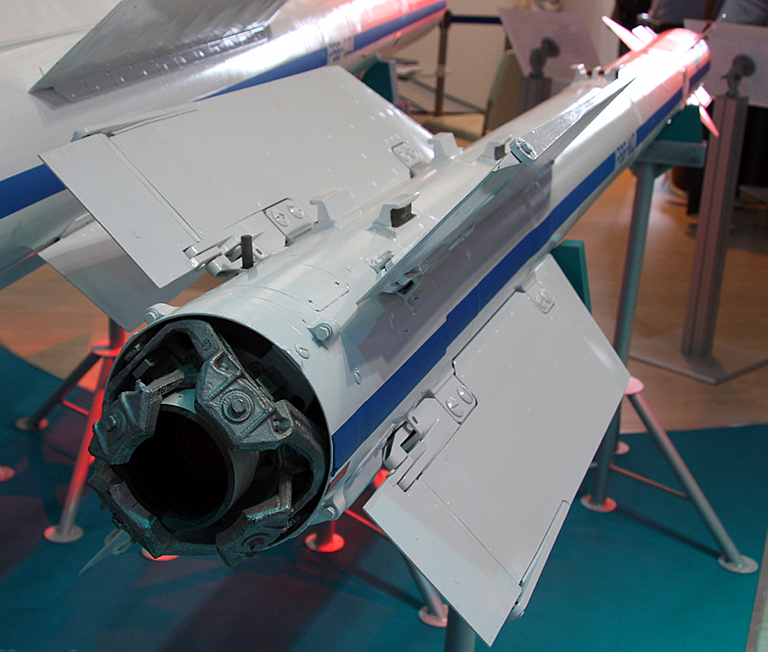 The primary close combat weapon to be carried by early production variants of the Su-35S is the KTRV RVV-MD, an extended range evolution of the R-73/74 / AA-11 Archer with a jam resistant two colour scanning seeker and a laser proximity fuse. Note the wideband ZnS or ZnSe IR window replacing the MgF2 design used in earlier variants (© 2009 Vitaliy V. Kuzmin). Su-35S Electro-Optical System turret (© 2009 Vitaliy V. Kuzmin). 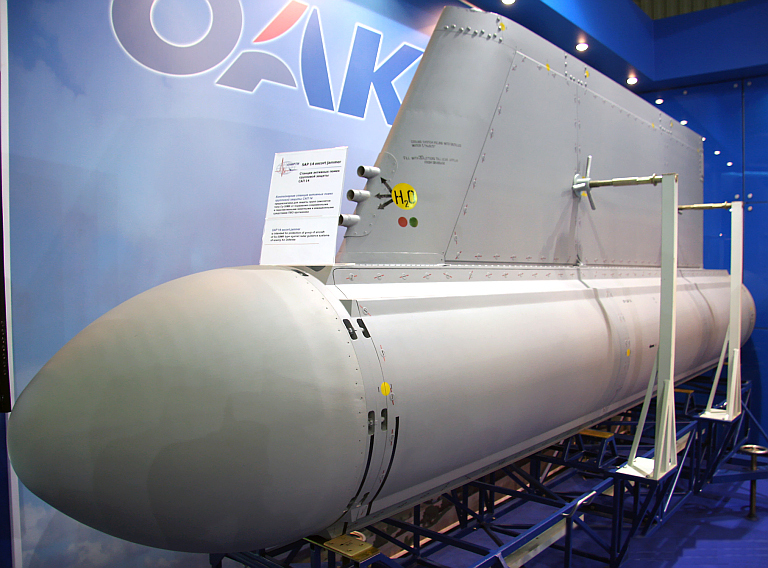 The UOMZ Sapsan E Electro-Optical Targeting System pod is likely to be offered as an alternative to the licenced French Thales Damocles targeting pod (© 2009 Vitaliy V. Kuzmin). The heavyweight high power KNIRTI SAP-14 Support Jammer ECM pod is a Russian analogue to the US ALQ-99E pod carried on the EA-6B Prowler and EA-18G Growler. It was developed for Flanker family aircraft and is carried on a large centreline pylon. To date little has been disclosed about this design, but it has been observed on the Su-30MK Flanker G/H and Su-34 Fullback. 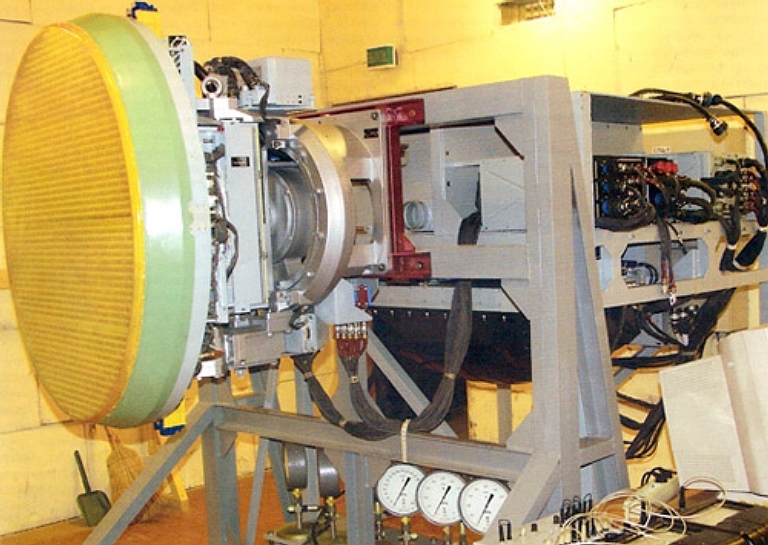 It operates between 1 GHz and 4 GHz (© 2009 Vitaliy V. Kuzmin). The KNIRTI SAP-518 ECM pod is a new technology replacement for the established L005 Sorbstiya series wingtip ECM pods. It operates between 5 GHz and 18 GHz (© 2009 Vitaliy V. Kuzmin). 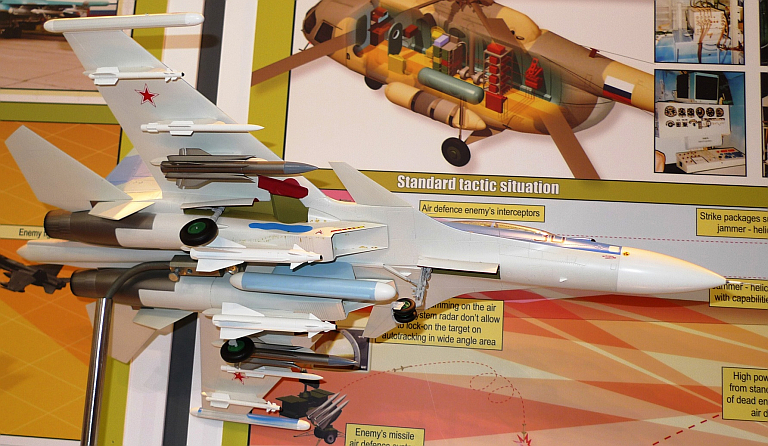 Su-30MKI Flanker H model with KNIRTI SAP-14 and SAP-518 jamming pods on display at MAKS 2009. The pods have already been flown on the Su-34 Fullback (© 2009, Miroslav Gyűrösi). 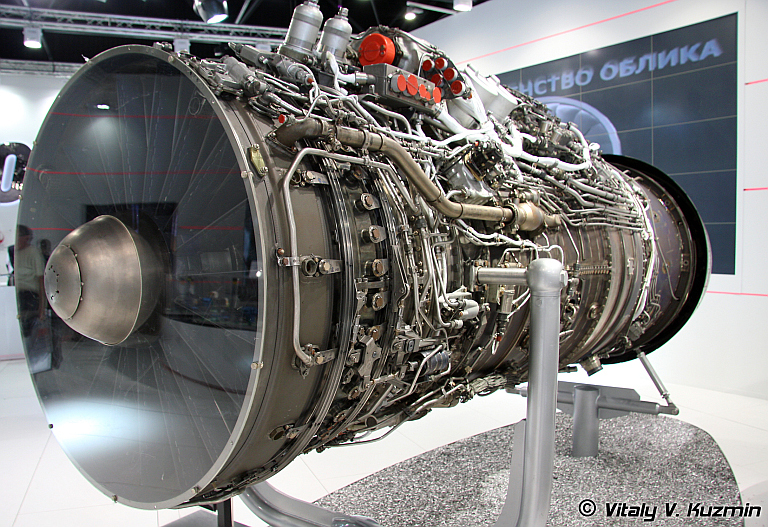 The 117S powerplant (© 2009 Vitaliy V. Kuzmin). 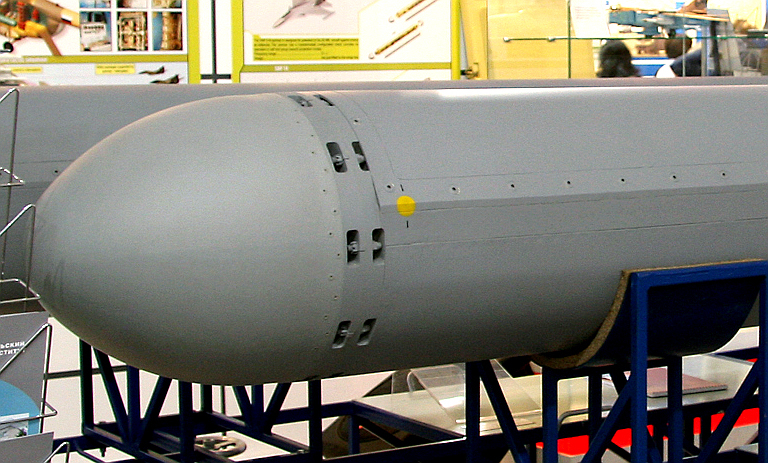 NIIP Irbis E Prototype (Tikhomirov NIIP). 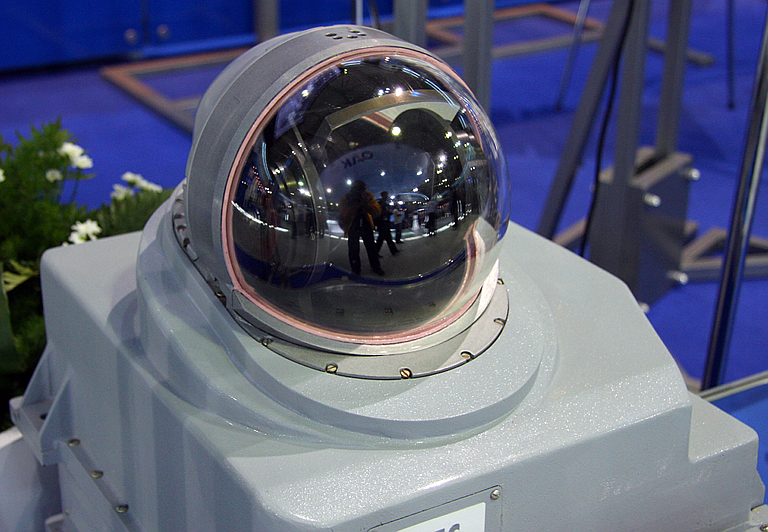 This video shows the agile gimbal arrangement on the Irbis E radar. This allows the phased array to be steered to best effect, and retain coverage of the target despite launch aircraft manoeuvre. 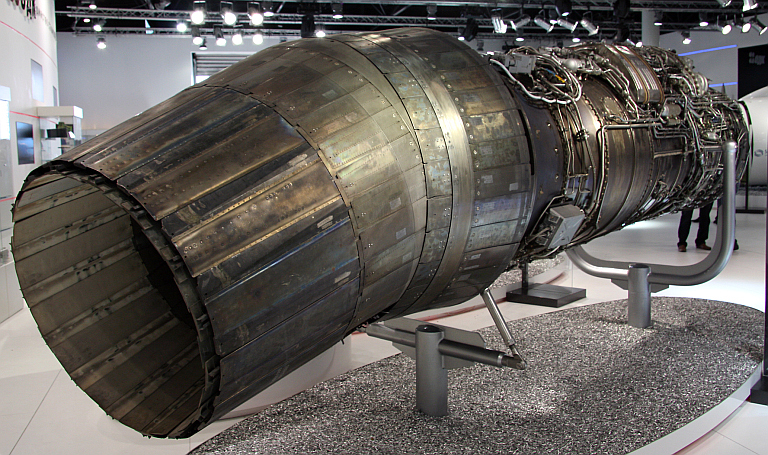 The planned auxiliary cheek AESA arrays on the F-22A Raptor are designed to achieve much the same purpose. This video was produced by KnAAPO to provide a quick look at the salient features of the new production Su-35-1 Flanker. It is much less detailed than the earlier 'Deep Modernisation' video, but more up to date. Of particular interest are the new design wingtip ECM pods which are much larger than the established KNIRTI Sorbstiya pods, and in geometry most closely resemble the new TsNIRTI Digital RF Memory pod design. 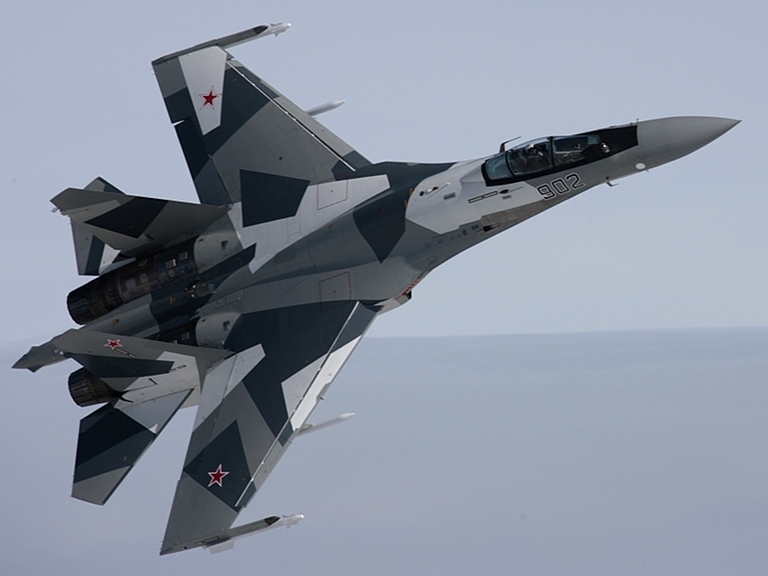 This Russian language video was produced to educate Russian and foreign customers interested in the Su-35BM upgrade package then being developed for Russian Air Force Su-35 Flanker E fighters. New build Su-35BM aircraft such as those being marketed to the PLA-AF and Brazil would be largely identical in configuration. Especially interesting are the animations of air to air engagements, and the use of the Novator R-100 (KS-172/R-172/K-100/AAM-L) 'anti-AWACS' missile against the E-3C AWACS. 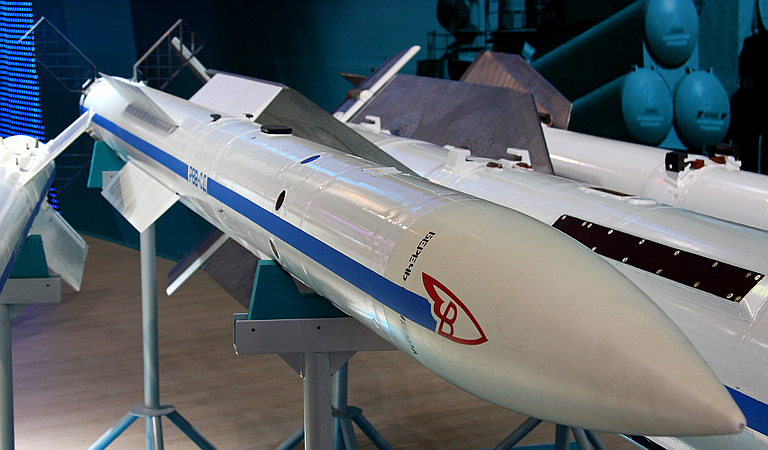 The CGI shows an R-77 launch, but the Russian language text refers to a 'long range AAM' which is the Novator R-100. The Su-35 Fighter Booklet. Zip-archive (15MB). Sukhoi/KnAAPO 2009 The Su-35 presentation movie. Sukhoi/KnAAPO 2009 The movie about basic specifications of Su-35. All images © 2009, KnAAPO. Imagery Sources: KnAAPO, Sukhoi; other Internet sources.